with showy snowflakes and the Santa. You can see I flipped my design. and stuck with the same design. Both are from the Funkie Junkie Boutique. Your background came out fantastic, Jane. 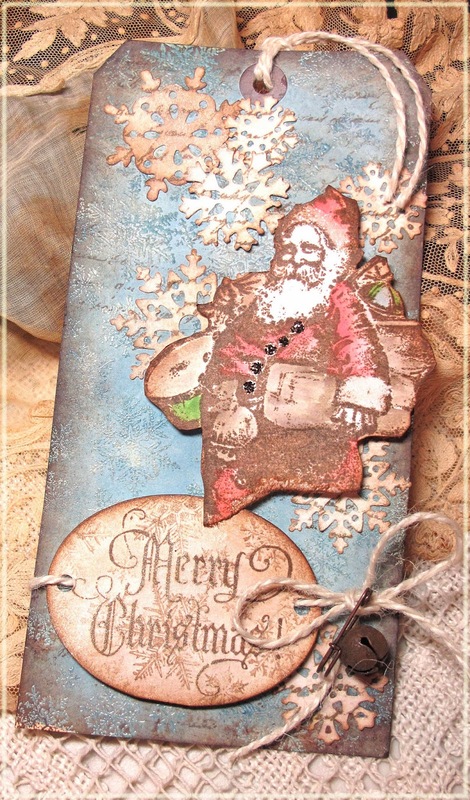 Love the blue and the embossed music! 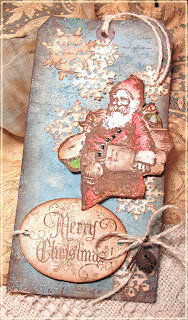 And the sentiment with the retro Santa is just too cute! Great to have you along with us for week #8!